Japanese gardens are famous throughout the world for their outstanding design, attention to detail and a dedication to peace and serenity. 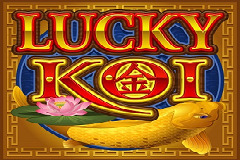 Lucky Koi is a beautifully designed online pokie from Microgaming that aims to bring some of these relaxing features to players at the many casinos which carry software from this well-regarded developer. With some koi fish selling for 100,000.00’s, there’s some valuable symbols floating around the reels, while a jackpot payout of 625,000 coins at maximum bet, it can be a valuable game to play as well. Lucky Koi sees images of flowers, wildlife and garden ornaments across its 5 reels, while players can achieve a zen-like state of happiness when bonus features like wild substitutions, prize picks, scatter wins and free spins with multipliers kick in. With 25 lines for symbols to land across, and a bet range that should suit all budgets, there’s a lot to like about this game. The visual appeal is immediately obvious, with the surface of a shimmering koi pond serving as the background, complete with lotus flowers floating on the surface and the occasional fish swimming around the outside of the reels. The symbols on the reels seem to float above the pond, while above them is the game title and below the controls used to select bet sizes. It’s possible to stake just 0.01 on a single playline, although anyone doing this will miss out on an average of 24 out of 25 winning combinations, so it’s better to activate all lines, which still only costs 0.25 a spin, and then adjust up from there. 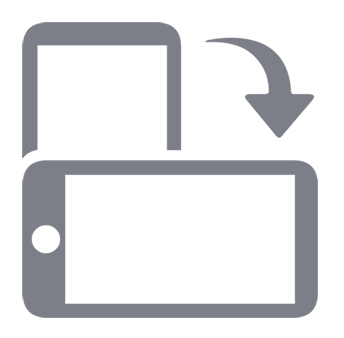 Up to 5.00 can be staked per line, giving an overall maximum bet of 125.00 a go. The rewards for lining symbols up are detailed on the paytable, with players getting a win by landing 3 or more matching symbols across an active line, as long as the row starts from the reel on the left side. The dragonfly is worth the least, but it still looks very nice and means that all symbols are related to the theme, with none of the playing cards images that appear across many pokies. Land 3 dragonflies on a line to win 0.2x the line bet and 5 of them wins 6x. Turtles and frogs are worth slightly more, while flowers, a traditional red fan, lucky coins and silver and gold garden ornaments are in turn worth more. The koi make an appearance as a the highest value symbol, with 2 of them circling each other, and landing just 2 of them across an active line equals a small win, while a full line of 5 will pay out 40x. Any symbols that become part of a winning combination will become animated, with the koi swimming around each other and the fan waving around for example. If the beauty of this game isn’t enough, then players will be able to enjoy some extra bonus features, with a wild symbol substituting for others if that will help to complete a prize-winning line. The wild will also pay some substantial winnings of up to 40x the line bet when it makes up a line without help from anything else. There is also a temple and windmill scatter symbol that triggers the main bonus features when at least 3 or more land on the reels. Before anything happens however, it will pay 5x, 20x or 100x the total amount bet per spin when 3, 4 or 5 appear. After that, players get to pick from 2 bonus games, with the options being free spins or a pick a prize game. If the free spins are selected, then a random number between 10 and 30 of them will play out, with a random multiplier of up to 5x in effect throughout. Alternatively, they can choose to pick between 3 to 6 koi from a pond, with each revealing a bonus prize or even additional picks. Players win the sum of all picks they make, with prizes being multiplies of the total amount bet on a spin. Anything Fishy about this Pokie? Few pokies look as good as Lucky Koi, but beyond the appearance, there’s still some nice bonus features, so clearly Microgaming have gone all-out to make this game one of their best releases to date. Although there are loads of games with an oriental theme, this one is quite different from the majority of them, while the big jackpot that’s up for grabs could even be enough to buy a couple of koi and a nice pond for them to go in.